(VOVWORLD) - Our listeners often tell us about the weather in their country. We know that August is the hottest month in Tokyo. Some 800,000 people were displaced and more than 350 died in the worst flooding in a century in southern India's Kerala state last week. Due to the summer monsoon, Dhaka is in a long rainy season from June to October. 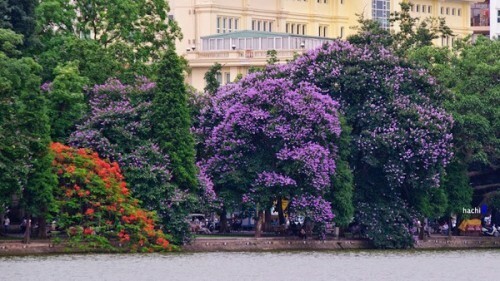 B: Hanoi is in the end of summer and early autumn and the weather is changing for the better. 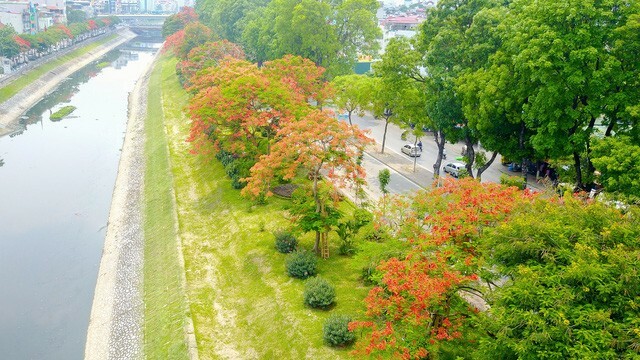 September marks the beginning of autumn, Vietnam’s most beautiful season, when light winds make the heat les oppressive. 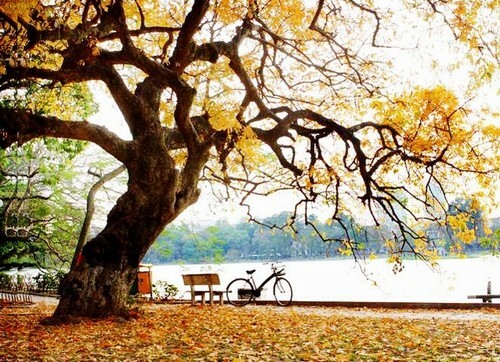 A: From now until the Mid-Autumn Festival, which falls on September 24 this year, is the best time of the year in Hanoi. But because of its geography, Vietnam’s climate varies greatly from north to south. There are three distinct climate zones. 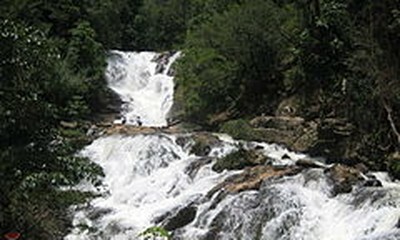 A tropical monsoon occurs from October to April in the central region and from May to September in the north and south. B: At any time of the year there will be harsh weather somewhere, with heavy rains, storms, floods, and drought. Shivendu Paul of India asked us about diseases in the rainy season in Vietnam, such as vector-borne diseases. A: There is a high risk of water- and mosquito-borne diseases during and after each monsoon rain in Vietnam. Some common diseases are cholera, dengue fever, and other bacterial infections. B: Many of our Indian listeners have told us that their Listeners’ Clubs have organized programs to prevent dengue fever and cholera in their localities by giving soaps to poor families, teaching children to wash their hands before meals at schools and at home, and keeping the environment clean. A: American listener Richard Nowak told us that he enjoyed our show on 7315kHz with a Lafayette HA-600A hooked up to an outdoor Wellbrook loop. SINPO was 45445, very good reception. B: Richard was interested in the news about upgrading infrastructure for tourism development in Vietnam, and about Vietnamese cooperation with Cambodia, the opening of a Vietnamese bookstore in Japan, and a festival to promote Japanese apples. World News mentioned the death of Kofi Annan. “This is sad. He was a good man.” Richard said. 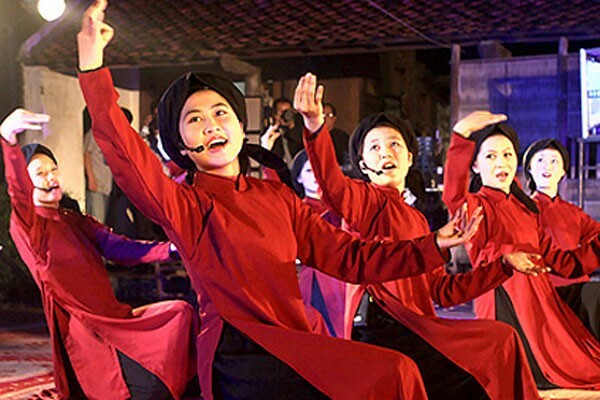 Xoan singing performance of Phu Tho province. B: Thank you very much, Richard, for your feedback. You’ll soon receive a QSL card for your reception report. Debakamal Hazarika, a member of the Universal Club of India sent a reception report for a program on August 18 on the frequency of 7280KHZ. SINPO rating was 44343. B: Najim said he was very happy to learn about wonderful cultural events in Vietnam. It’s good that many other Buddhist countries share the Vietnamese custom of offering food, clothing, and other items to hungry spirits. Najim wants to know about Vietnam’s ethnic groups and what is the biggest group. A: If you have listened to our program “Colorful Vietnam, Vietnam’s 54 ethnic groups”, you’ll know that Vietnam has 54 ethnic groups. The Kinh are the majority, accounting for 86% of Vietnam’s 96 million people. B: The Kinh are found throughout Vietnam, but the majority live in delta and urban areas. Vietnam’s main language belongs to the Viet- Muong language group. Some Kinh people live in Vietnam’s northern mountain provinces with other ethnic groups. A: Kinh people for hundreds of generations lived in villages surrounded by bamboo thickets as a natural fence. Each village had a communal house for meetings and ritual ceremonies. The husband is considered the head of the family and children take the family name of their father. The eldest son is usually responsible for the worship of dead parents and grandparents. B: Monogamy is observed during marriage. After her wedding, a bride normally goes to live with her husband’s family. Of all the ethnic groups in Vietnam, the Kinh people seem to have the most modern clothes. The “Ao dai”, Vietnam’s traditional long dress, with a slit on either side, is a well-known symbol of Vietnam. A: In the old days, Kinh people dressed rather differently than they do now. Men used to wear a long gown with a slit on either side and a turban, while women wore a four-panel dress with four slits spaced evenly on its lower section. In recent years, influenced by Western and Eastern fashion trends, the Kinh wear jeans and other casual clothes found in other modern countries. B: Thank you for listening to VOV’s Letter Box today. Please join us again next Wednesday for another edition of the Letter Box. Goodbye till then. We warmly welcome your feedback and questions. Please keep tuning in to our English Program on the radio or at www.vovworld.vn. Thank you very much for answers my question about the Vietnamese ethenic Group. It's very interesting to know more about it. It would be more helpful to me on my interest about Vietnam.